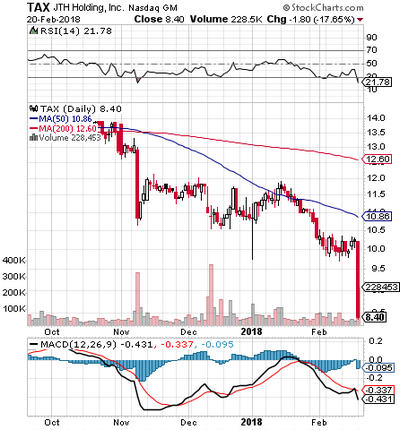 It was the morning of December 12th that we most recently highlighted RARX, and it is one stock that has weathered the ups and downs of the past few weeks quite well. In fact, subsequent to that report, we’ve observed a run from a low of 15.23, up as high as 22.15. That amounts to a run of 45% which is highly respectable for a $15+ stock over a short time span. That high also represented a new 52-week high for the stock, which is especially impressive when you consider that most stocks out there are just now coming off of recently established annual lows. We’ll be highly interested to see if RARX can continue to push its upper limits. 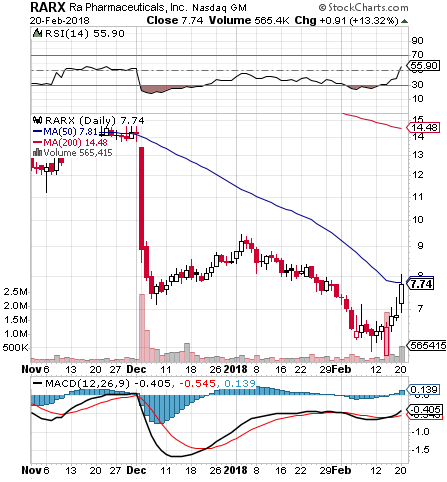 For what it’s worth, our first-ever mention of RARX came last February, when it was trading at less than $6/share. We’ve got a long history with PBR options that stretches back years, as you can see in our PBR Archive. Like a lot of other stocks we’re seeing, PBR is coming off of recent relative lows, and has gained a quick boost from the loosening pressure on the markets over the past week. PBR has breached its 50-day moving average in the premarket, and we want to line up a pair of quick-strike options trading possibilities to correspond with this volatile activity. We’ll be watching the PBR Weekly $14 & 14.50 Calls.